Zeebrugge, meaning "Bruges on Sea", is a village on the coast of Belgium and a subdivision of Bruges, for which it is the modern port. Zeebrugge serves as both the international port of Bruges-Zeebrugge and a seafront resort with hotels, cafes, a marina and a beach. Located on the coast of the North Sea, its central location on the Belgian coast, short distance to Great Britain and close vicinity to densely populated industrialized cities make Zeebrugge a crossroads for traffic from all directions. It is Belgium's most important fishing port and the wholesale fish market located there is one of the largest in Europe. 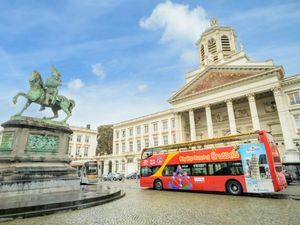 We offer the absolute best options for your tours and cruise shore excursions in Zeebrugge!